On 13 April 2016, almost a year ago, I commented as follows on this forum regarding the Griqua Coinage debate. The time has arrived; new contemporary records of the period have recently been recovered, on which I wish to respond. The handful of newly discovered contemporary documents reported by Ann Stuart, date from the period 15 January 1816 to 21 July 1817. None of these newly discovered contemporary documents refers to the dispersing or circulation of the coinage, so regarding this important issue (did they circulate or not? ), nothing new has been found or came to light. (I will come back to this issue again). In my follow ups to this post, I will comment on these very important documents discovered & reported by Ann Stuart. On 30th October 1816, a person by the name of John Miller was sentenced to death for highway robbery at the Old Bailey in London. 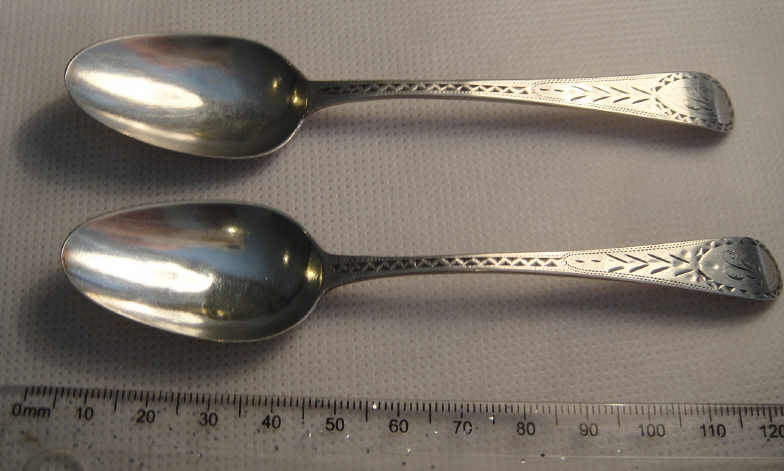 According to the court proceedings, William Bateman, a silversmith, sent a 15 year old boy Thomas Spicer, with silver worth “forty eight pounds and upwards” to a Joseph Clementson, who was a silver castor. The boy was robbed of the silver and the robber sent to death. Who was William Bateman, the owner of the silver that was robbed? William Bateman was also a Silversmith, and as we shall see, the person who procured the Griqua coins using his own funds and thus donated the tokens to the LMS. Due to the sterling research by Ann Stewart, we can now for the first time make a calculated guess regarding the number of Griqua tokens that were struck – and for the first time see exactly WHY they were struck. As will be shown below, her study shows that £200 worth of Griqua coinage was sent to the Cape. How many coins is that? As a rough comparable guideline, let’s look at the 1823 coin-order of Lord Charles Somerset (that never materialized) when he ordered £4000 worth of coins to be struck for the Cape Colony -- £2000 in copper (½ & 1 pennies) and £2000 in silver (5 & 10 pence pieces). So half of the order was for silver pieces and that was split 50/50 between the 5 & 10 pence pieces. From this we can estimate (it is obviously just a guesstemate) that approximately £100 worth of Griqua silver pieces were struck - £50 worth of 5 pence’s (2400 pieces) and £50 worth of 10 pence’s (1200 pieces). In numismatic coinage terms these are extremely tiny figures even if doubled or even tripled. In a modern day shop, the whole batch would probably be circulated (spent) in a single day or two! On 15 July 1816 it was “Resolved that £200 in Coins [struck through] Tokens for [use] …as inflation…Griqua Town be forwarded to the Cape of Good Hope instead of £100 only-as before ordered”. Why was the tokens struck? The words “ …Silver Coinage as a circulating medium at Griqua Town … ” transcribed at the London Missionary Society’s meeting of 22nd April 1816 clearly shows that the tokens were, without any doubt, intended for local circulation (“… at Griqua Town & its Vicinity in So Africa …”) and surely not as mere gifts or presents or freebees to the Griquas. This is one of the most amazing discoveries presented to us by Ann Stuart. Firstly, one can ask what happened to the other approx. nine pounds. Was it perhaps paid to the die-maker whilst the rest £191.12 were paid to the minter/manufacturer being someone with the name of William Westall? Ann Stuart speculates that he was a painter. But I cannot follow her logic why she thinks he (as a painter) may have been involved with the tokens? The clue might lie with the LMS director William Bateman who donated the funds for the procurement of the Griqua coinage. He and many members of his family were silversmiths, so must have known all the big businesses in the silver and coin/token manufacturing trade in London. William Bateman said in court “I sent some silver to the last witness's to be melted” From this we can safely assume that Joseph Clementson was not involved with the minting of the Griqua Coinage – he was only to melt the silver that was to be used for their manufacturing. In the court proceedings, Joseph Clementson testified “I sent him (the boy) with two hundred ounces weight of silver to Mr. Bateman; it was worth forty eight pounds and upwards. These ”two gentlemen” were most probably, the persons who needed the silver for the manufacturing of the tokens. As a postscript to the above, I think I figured out who William Westall could have been. I think William Westall was the person (indeed the painter) from whom the original silver objects were bought from by William Bateman, and then melted into ingots by Joseph Clementson. But I will come back to that later. So how many silver tokens can be minted from this amount? How many copper tokens could be minted from £150? If we split it up 50/50 between the ¼ and ½ pence pieces, we get 36 000 halfpennies and 72 000 quarter pennies. “Sir, We acknowledge the receipt of Yours dated 20 March last and have the honor to return for Answer, that we have received the two Cases, containing small Silver Specie and Copper pieces in good order, and we will act with the same according to the intention and wish of the Society”. When the coins arrived in South Africa (July 1817). And we pretty much know how many of each denomination were sent (see my previous post). We had none of this information before. Lastly, we also know why the coins were sent to South Africa, because the newly discovered LMS records by Ann Stuart, clearly states (without any doubt anymore) that they were struck as coinage to be used as a “circulating medium” at Griqua Town. If we look at the NGC and PCGS population reports, we see that proof coins exist in both the silver and copper series of Griqua coins. These are quite separate coins than the normal issues that are graded in both circulated and non-circulated condition. They were most probably part of the preliminary issues struck; usually called salesmans samples pre-production issues made to impress those that have to make the final decision regarding their procurement and mass production. If the LMS Griqua coinage committee was resolved by 15 January 1816, the preliminary discussions surrounding this issue were undoubtedly started at least a few weeks, but probably months, earlier thus in the second half of 1815. So when were these first proof issues (salesmans samples) struck? 1815? 1816? We do not know, but I have a suspicion that William Bateman, as both a member of the committee and a silversmith himself, were closely associated with these earlier strikes. I think that he will in future prove to be a major key in solving this wonderful riddle. The first picture shows the difference between an original Griqua token and a salesmans sample (pattern) struck more than half century later by Otto Nolte & Co of Germany. We know that William Westall (a painter, but not the painter of the dove-painting shown above) did indeed visit Australia in the early 1800s, so maybe there might be truth in him being involved with the design of the coinage? I will post my follow up during the coming weekend, but, as a quick breather and marking time, I was e-mailed a question regarding my picture post yesterday. Well, the coin is a Griquatown 10-pence piece that was graded AU55 by NGC. The grade (AU55) is described by NGC as “Slight wear on less than 50% of the design”. So the coin is pretty much near to being uncirculated and thus shows only very limited evidence of “passing hands”. The last piece of contemporary documentation (that nobody were aware of) found by Ann Stuart relating to the Griqua coinage, is the letter to D. Langton, the Assistant Secretary of the Missionary Society in London on 21 July 1817 that confirmed that the Griqua silver & copper pieces arrived in South Africa. However, Stewart in her report also refers to documents that we already were aware of, most importantly the well quoted letter of missionary Helm of 21 June 1821 to Dr. John Philip. “I wish to respond on the forum to Ann Stewart’s take on the Helm Letter of 1821, but maybe I have read her understanding of it wrong. Even after the second occupation of Great Britain of the Cape of Good Hope in 1806, both the public and public sectors (I made a mistake here – I meant public and private sectors) continued to use the Dutch bookkeeping (accounting) units of Riksdaalders & Schillings. This practice was carried on till the 1830s and even later. At the time, hard currencies of many countries circulated at the Cape, for example British Sterling, Spanish dollars, French Francs, Indian Rupees, Dutch Gulden and many more. But transactions in these currencies, being it the payment of local salaries, the sale of property or the buying of slaves, were always recorded in the books or official correspondence in the local bookkeeping units of Riksdaalders & Schillings. Moving on to the 1821 Heinrich Helm letter to Dr. Philips, it is recorded that Andries Waterboer, the local Griqua teacher’s assistant, was initially paid 13 Rijksdaalders & 4 Schillings and later 36 Rijksdaalders more because some members of the Griquatown Auxiliary Society have paid their contribution for that past year partly in money. As this was an official document written to the head of the LMS in South Africa, the bookkeeping terms (known as “rekengeld” – directly translated to English as “calculating money”) were used. (My first question is thus simply if this is (enough) evidence that money - any money - circulated at Griquatown during this period). If the greatest part of the Griqua money was still the Society’s property, what happened to the other part (the smaller part)? Isn’t it true that this “other part” were disposed by Brother Anderson at the wrong rate? The coins could not have been given (or thrown) away because how do one give something away at the “wrong rate”? What is Ann Stewart's take on this? What does she think (even if it is only speculation) happened to these pieces (that were disposed at the wrong rate) and were not the property of the Society anymore? It would be wonderful if Ann Stewart could respond to these questions, so thank you in advance. in many of the accounts read in the archives we came across listings of transactions recorded in Rix, Pounds, Dollars, beads and skillings but more prevalent firstly with Rix and that we interpreted that arrivals of monies to the society in Great Britain was accumulated and received in Pounds as demonstrated by the entries into the ledger of pounds/shillings/pennies. This would pose a thought that at some point in time all methods of monies or items were received at the Missionary station/s and somehow either converted to a single monetary medium or changed to a metal value (Silver / Gold seems logical). We list various accounts of documented transactions taking place in Rix currency as well as a comment of elephant tusks of 30 Pounds. However, we could not find the mention of a Griquatown Community Coinage transaction but would surmise that all forms of monetary means was to be accepted by the Church we cannot exclude the fact that the Griquatown community coinage was not perhaps amongst items received or paid for at the Mission station and or other places of trade at the time as silver coinage is silver to no end and has an intrinsic value whether it had the Queen on it or not. The defacto is that there is no clear and precise transaction documented in the society transaction ledgers that recorded as such using Griqualand coinage. Perhaps the recordings are listed in pence but we could not find denominations of 5 or ten that may have been Griquatown 5 pence / 10 pence. One could well understand that several Griquatown Community coinage pieces were distributed to commence the introduction of a currency to the community in the area and as such may have parted hands to and fro by the missionaries to local inhabitants to encourage circulation and the establishment of the coinage. There are several reasons as to why we suggest that other currencies at the time prevailed and as such should be kept in context in line with the setup at Griqualand and the references to Rix been the preferred monetary medium. This is stated and prominent in the research report. So, money whether in trade or barter as such, was circulated as it would have been present in most part of the communities that had years of exposure to western influences. It is recorded there was a shortage of circulated coinage; beads and barter was still largely used and traded. Therefore, we can deduce that the intent of the LMS, as stipulated in the report, was to introduce Community Coinage to compensate for the shortfall of coinage at the time and perhaps, in so doing, establish a unique Griqua currency. The fact that it is recorded (Helm 1821) it was distributed at too cheap a rate only can be accounted for that it was issued but unfortunately not recorded as received. Yes, distribution must mean something given in return but we could not account for what that was. So, to answer your question, it is most logical to surmise that a method of trade or barter needed to come about in line with the western method of transactions and as such various monetary means did indeed circulate to those inhabitants who understood money. As to the influence of who and how many understood money at the time this was not part of the report and we can only speculate that if the Missionaries believed that there was a need for a monetary medium then there must have been grounds for that. The costs of 250 pounds to approve mintage of coinage would have been a great financial outlay for the LMS at the time. We can assume that the Quorum established would have provided justification for the coinage. Unfortunately, the introduction of the Griquatown Community coinage did not materialize as the defacto currency and as such other monetary currency transactions are recorded that prevailed. Morgan Carroll's financial sacrifice, energy and unwaverable focus expended in finding these missing historical elements relating to the Griquatown coinage has to be an inspiration to all South African numismatists. The Griquatown coinage saga has been like a jigsaw puzzle with too many pieces missing for anybody to truly interpret what the complete picture looked like. This has now changed. Morgan has provided the numismatic community with many of these missing pieces and things are now starting to make sense. There is so much to digest that I, for one, am content for the moment to sit back and absorb the content of the present post started by Pierre Nortje, who has once again also provided proof of his passion for South African numismatics. To both Morgan Carroll and Pierre Nortje, please keep up this fascinating exchange! “ … in many of the accounts read in the archives we came across listings of transactions recorded in Rix, Pounds, Dollars, beads and skillings but more prevalent firstly with Rix and that we interpreted that arrivals of monies to the society in Great Britain was accumulated and received in Pounds as demonstrated by the entries into the ledger of pounds/shillings/pennies. This would pose a thought that at some point in time all methods of monies or items were received at the Missionary station/s and somehow either converted to a single monetary medium or changed to a metal value (Silver / Gold seems logical). We list various accounts of documented transactions taking place in Rix currency as well as a comment of elephant tusks of 30 Pounds. However, we could not find the mention of a Griquatown Community Coinage transaction but would surmise that all forms of monetary means was to be accepted by the Church – we cannot exclude the fact that the Griquatown community coinage was not perhaps amongst items received or paid for at the Mission station and or other places of trade at the time as silver coinage is silver to no end and has an intrinsic value whether it had the Queen on it or not. The defacto is that there is no clear and precise transaction documented in the society transaction ledgers that recorded as such using Griqualand coinage. Perhaps the recordings are listed in pence but we could not find denominations of 5 or ten that may have been Griquatown 5 pence / 10 pence. One could well understand that several Griquatown Community coinage pieces were distributed to commence the introduction of a currency to the community in the area and as such may have parted hands to and fro by the missionaries to local inhabitants to encourage circulation and the establishment of the coinage. There are several reasons as to why we suggest that other currencies at the time prevailed and as such should be kept in context in line with the setup at Griqualand and the references to Rix been the preferred monetary medium. This is stated and prominent in the research report. So, money whether in trade or barter as such, was circulated as it would have been present in most part of the communities that had years of exposure to western influences. It is recorded there was a shortage of circulated coinage; beads and barter was still largely used and traded. My Comment: I agree, but let’s just emphasize that Rixdollars were both a paper currency and the bookkeeping monetary unit of the time. Whatever types of hard currencies circulated at Griquatown then, would have been recorded in the ledgers as Rixdollars & Schillings. I fully accept that Rixdollar notes were the most widely circulating medium at the time, but have no doubt that other hard currencies (e.g. British coppers) were widely known and eagerly accepted by the year 1821 when the Helm letter was written. Therefore, we can deduce that the intent of the LMS, as stipulated in the report, was to introduce Community Coinage to compensate for the shortfall of coinage at the time and perhaps, in so doing, establish a unique Griqua currency. The fact that it is recorded (Helm 1821) it was distributed at too cheap a rate only can be accounted for that it was issued but unfortunately not recorded as received. Yes, distribution must mean something given in return but we could not account for what that was. My Comment: For me it is not important to know exactly what was given in return by the Griquas to the LMS when they received the Griqua coins – because it could only be two things – either labor or goods. They were either paid for work done (like Waterboer) or for goods bought from them (e.g. chickens, vegetables, handmade items, etc.). If for anything else, the coins would have been given away freely and we know that was not the case – the word “rate” destroys this possibility. So, to answer your question, it is most logical to surmise that a method of trade or barter needed to come about in line with the western method of transactions and as such various monetary means did indeed circulate to those inhabitants who understood money. My Comment: I am happy with this statement. Helm’s letter confirms that some monetary currencies did indeed pass hands at Griquatown - stating that the local congregation paid some of their Church offerings in physical money. As to the influence of who and how many understood money at the time – this was not part of the report and we can only speculate that if the Missionaries believed that there was a need for a monetary medium then there must have been grounds for that. The costs of 250 pounds to approve mintage of coinage would have been a great financial outlay for the LMS at the time. We can assume that the Quorum established would have provided justification for the coinage. So understanding money would have been no problem to many of the inhabitants. Only as a matter of interest, my understanding from Ann Stewart’s research is that the total amount OK’d was 200 Pounds and not 250 Pounds. Unfortunately, the introduction of the Griquatown Community coinage did not materialize as the defacto currency and as such other monetary currency transactions are recorded that prevailed”. My Comment: The Griquatown Community coinage did not prevail because it was a failure. After Ann Stewart’s report was published, nothing has changed regarding this view – the title of her report actually confirms this. We (still) know, without any doubt, that some of the pieces (the numbers are not really important) were indeed circulated to the Griquas as payment for either goods or services or both – and thus indeed passed hands, albeit at the wrong rate. But the whole LMS Griqua coinage endeavor was one massive disaster – which is a wonderful blessing in disguise for South African Numismatic history. For if it was a success, very few of us would still be so highly intrigued by the Griqua coinage 200 years later. And the coins would certainly not fetch the massive hammer prices we see whenever these humble little jewels are offered on international numismatic auctions from time to time. The Ann Stewart report on the Griqua coinage, graciously sponsored by Morgan Carroll, has brought many new facts to light regarding this most fascinating series. Contemporary correspondence, dating from the period 1816 - 1817, was revealed by her for the first time after being filed 200 years ago by a forgotten LMS secretary in some dusty filing cabinet at the London Missionary Societys headquarters in London then. We now know, without any doubt, why & when & and in which metals they were struck. We can also, for the first time, make a good guess on how many of each denomination were struck, and if they were actually regarded by the LMS as coins or tokens..
We also now know when the coinage was shipped off and received in South Africa. Most of this information (answers) was unknown to us before. Why was the Griqua coinage struck? Further, at a meeting of the Directors held at their meeting rooms in the Old Jewry on 22nd April 1816, it was Resolved that £100 be voted for a Silver Coinage as a circulating medium at Griqua Town & its Vicinity in So Africa - that this business be referred to Messrs Bateman and Muston. When was the Griqua coinage struck? In which metals were the Griqua coinage struck? (a letter) . on 21st July 1817 states Sir, We acknowledge the receipt of Yours dated 20 March last36 and have the honor to return for Answer, that we have received the two Cases, containing small Silver Specie and Copper pieces in good order, and we will act with the same according to the intention and wish of the Society. How many of the Griqua coinage were struck? Were they regarded as Tokens or Coins? When were the Griqua coinage shipped and arrived in South Africa? After this date - 21st July 1817 - no more (new) contemporary evidence was discovered. My follow up and last post on this issue will concentrate on questions I still have questions that I cannot figure out regarding this fascinating & historical numismatic trip. A few pages later, it is noted that “Several bills were ordered for payment as per list entered in the auditor’s Minute Book” so (according to Stewart), it is likely that more information would have been there. There was more than one bill regarding the token order. So it could be that William Westall is actually William West and then the next word starts with all and then something illegible (…) and then the amount of (£)191.12. 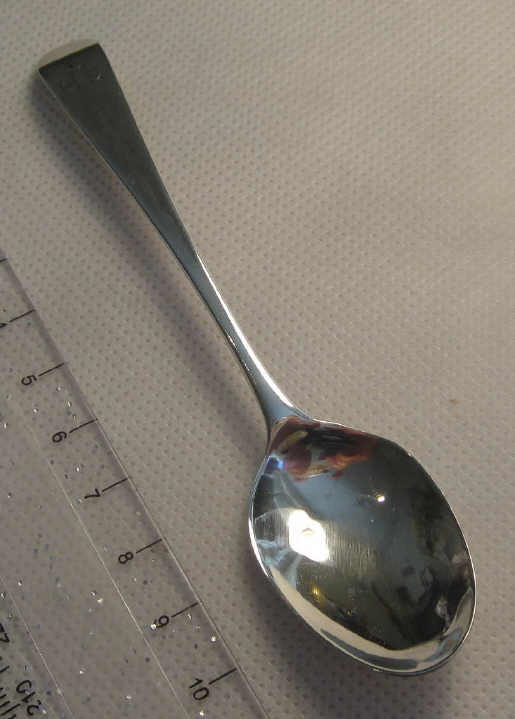 (Someone with the name of William West was actually a well-known silver manufacturer / maker in London at that exact period). I just do not know – maybe it was indeed the painter William Westall who was involved here as Stewart speculates. My take on this is that the amount of £191.12 was not only for the silver tokens, but also for other items/services from different suppliers/companies relating to the Griqua coinage. £41.12 was paid for their minting, die-making etc. If Bateman donated (“gratuitously procured”) say £50, why was it included in the bills send to the LMS as it was not for their payment, it was for Bateman's pocket? Maybe to be recorded as a donation in the LMS accounting books? I don't know. We know that Bateman was refunded by the LMS when the silver that he procured was stolen. If he donated the silver, why was he refunded? I think that he then donated another £50 (£49 to be exact) to replace the stolen silver, and for this he was refunded. Otherwise he would have had to pay £100 (and not £50) in total for the silver. There are still many questions to be asked & answered, but for now I am happy with how far we got regarding this fascinating journey. The SA Mint may have struck the Griqua commemorate pieces one year too early (2015 and not 2016 as would have been the more correct 200-year commemorative date) but as we have seen, the preliminary striking of the proofs & salesman’s samples, could well have been undertaken in the second half of 1815. Thank you again to Morgan Carroll and Ann Stewart – the South African Numismatic fraternity owes you so much. William Bateman was a silversmith; a long standing member of the London Missionary Society and member of the Griqua coinage committee. He was the person who “sponsored” the Griqua coins using his own funds and thus donated the tokens to the LMS. His grandmother was Hester Bateman (1709-1794) the most famous 18th c. English female silversmith. 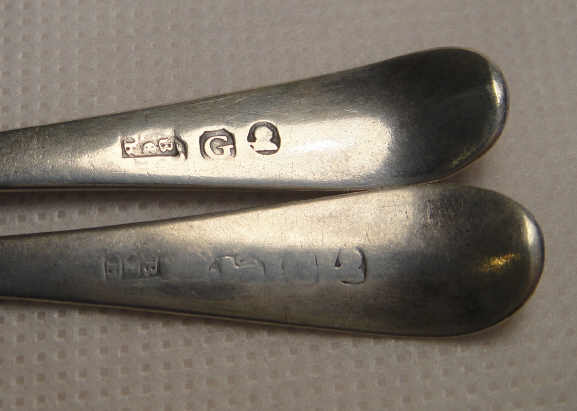 Hester’s sons were PETER BATEMAN and JOHN BATEMAN who registered their silver mark in 1790. In 1791 the silver-mark was changed to PETER and ANN BATEMAN. Ann was Jonathan's widow and not Peter's wife. In 1800 the silver mark of PETER BATEMAN, ANN BATEMAN and WILLIAM (I) BATEMAN was registered. William Bateman was the son of Jonathan and Ann Bateman who in 1800 entered in partnership with his uncle Peter and his mother Ann. In 1805, after the retirement of Ann, the new silver-mark was registered of PETER BATEMAN and WILLIAM (I) BATEMAN. From 1815 to 1840 WILLIAM (I) BATEMAN the silver-mark was registered alone. Some of the pieces recently found in a Cape Town collection were items with silver mintmarks of BOTH Hester Bateman and from those of Peter, Ann and William Bateman.